Fergus Garber Young Architects is a full-service architectural firm providing a higher level of attention, management and environmental stewardship to clients, both residential and commercial, that have a long term interest in their property. We create projects that both we and our clients are proud of. Our clients value our ability to understand them. The varied architectural styles of our projects reflect our goal to embrace our clients' interests and desires. We match their goals to the essential qualities of good architecture: strong plans, good proportions, and a high attention to detail to make functional and beautiful houses. We are leaders in environmental stewardship. Our focus and expertise in green design has resulted in one of our houses receiving LEED Platinum criteria, one of Northern California's first. We will be among the first in the nation to have performed an embodied energy analysis of a portfolio of our single family houses to establish targeted embodied energy thresholds for our design practice. We have significant expertise in designing to meet Green Points, LEED, California's Title 24 and CALGreen requirements. Our commitment to the environment is further supported by the addition of the Sustainability Manager role in our firm. Sneha Avargerimath has joined FGY with 2 years of intern experience working on high-end residential projects in Australia, as well as a year working on commercial projects in San Francisco. After the design and construction of her family home in Australia, she pursued her Bachelor of Environments and Master of Architecture at the University of Melbourne. Having spent many of her summers in Palo Alto with family, Sneha relocated to the Bay Area permanently in 2014 where she sought to pursue her love of residential design. Born in India and raised in Australia, Sneha caught the travel bug early and loves to explore new countries and places whenever the opportunity arises. Maureen Buckley was born and raised in the bay area. She attended the University of San Francisco where she graduated with a BS in Business – Accounting emphasis. She worked for many years as an auditor with a large public accounting firm and then retired to raise her four children. She joined us in 2009 looking to work a few hours a week with a local firm and has found both her accounting and parenting skills convenient as her roll has increased with our growth. You can see her around town on her bike, running, walking her Greater Swiss Mountain dog or enjoying the family and friends she so treasures. We also gratefully acknowledge the contribution of our past employees, interns, summer interns, and collaborators, including: Jerrod Nichols, Matt Potts, Craig Stark, Madison Jackson, Clare Malone Prichard, Brian Hill, Grace Mariucci, Elyssa Estrada, Amanda Stahler, Adam Titrington, Micaela Danko, Kim Butler, Megan Jones, Danielle Wyse, Mariana Pabon, Prashilla Patel, Sudeshna Sukla, Lauren Goldman, Andrew Miller, Alex Hobbs, Elle White, Sally Darby, Sarah Sobel, Erica Weeks, Sophia Duluk, Cindy McGowan, Jarrett Lantz, Emily Damon (twice! ), Christopher Stiedemann, Sylvan Juarez, Matt Serverson, Christopher Bravman, Lauren Leonard, William Young, Hayley Stevens, Anjelica Christon, Shawn Sasse (with special thanks), William O’Neill, Teresa McWalters, Stephen Sun, Lauren Schneider, Joseph Bergen, Cara Kuroda, Jennifer Martin, Catherine Yoo, Leora Goren, Maryann Hinden, Sylvia Fergus, Chris Rudiz, Morgan Ng, Carlos Louvier, Michael (Mickey) Kammeyer, Joseph Ney, Robin Johnson, Debra McQueen, William Hendrix and Timothy Hill. Olivia DelBono joined FGY in 2018 after graduating from Cal Poly, San Luis Obispo with a Bachelor of Architecture and minors in Construction Management and Sustainable Architecture. While at Cal Poly, she received scholarships from the Association of Women in Architecture and the National Association of Women in Construction. She held semester-long internships with Kitchell construction managing school construction in Sacramento and with Tesla designing their new campus. Olivia also studied architecture abroad in the Czech Republic, Switzerland, and Mexico. Besides an addictive love of travel and foreign languages, she enjoys painting, woodworking, and cooking in her free time. Catharine Fergus Garber is the founding partner of Fergus Garber Young Architects (Fergus Garber Group became Fergus Garber Young Architects in January of 2011). 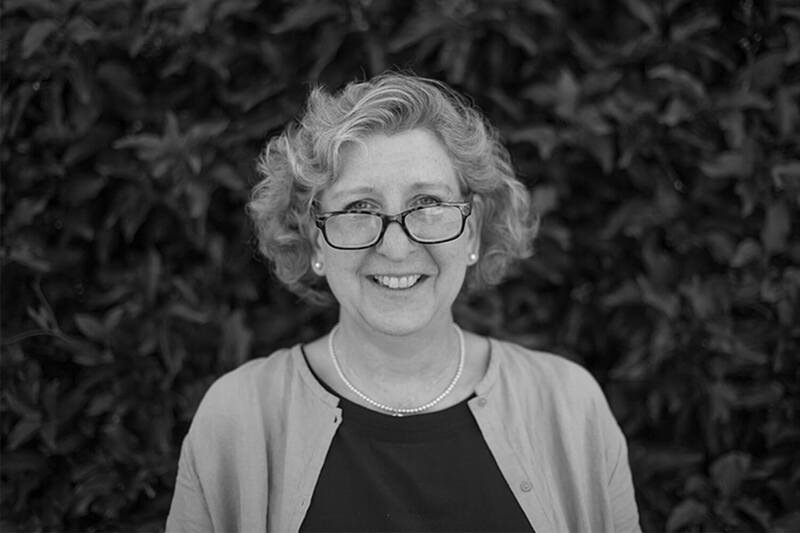 She established Fergus Garber Group in Chicago in 1987 and relocated the firm to Palo Alto in 1997. She has extensive experience designing new primary and vacation homes nationwide. She is a licensed architect and is a member of the American Institute of Architects (AIA), and National Council of Architectural Registration Boards (NCARB). Catharine’s undergraduate degree is in Art History from Middlebury College; her Masters in Architecture is from the University of Illinois, Chicago campus. When not at FGY Catharine loves spending her time outdoors – playing tennis, hiking, biking, or skiing, with friends and family. She also tries her best to keep track of her two boys, Reed and Corwin. Daniel Garber, FAIA, is a partner at Fergus Garber Young Architects. Before joining his wife in her architectural practice in 2002, Dan was a partner at Relign Consulting and before that a vice president at Jones Lang LaSalle, both real estate services and consulting companies. Mr. Garber started his professional life at Skidmore, Owings and Merrill (Chicago), a large international architectural engineering company. He is a member of the National Council of Architectural Registration Boards and is a licensed Architect and, as of 2014, elevated to Fellow of the American Institute of Architects (AIA). Dan received his Bachelor of Architecture degree from Carnegie Mellon University, where he received a PPG traveling scholarship. Dan is a past chair and commissioner of the Palo Alto Planning and Transportation Commission, a past trustee of TheatreWorks Repertory Theatre in Palo Alto and Mountain View, and a former President of the Friends of the Palo Alto Junior Museum & Zoo. Previously, he was appointed by the Palo Alto City Council to serve as the co-chair of the City of Palo Alto Citizens Advisory Committee on the Comprehensive Plan Update. He is currently a member of the SF Museum of Modern Art (SFMOMA) Architecture + Design Accessions Committee, a member of the AIA Committee On Design (COD) San Francisco Trip Planning Committee and co-chair of the AIA COD 25 Year Award Nominating Committee. Saizwin Kadiwala joined FGY in 2018 after graduating from Savannah College of Art and Design in Georgia with a Master of Architecture. She is originally from India, where she pursued her Bachelor of Architecture from K.R.V.I.A, a design-based school in Mumbai. Saizwin brings to FGY experience abroad in both residential and commercial architecture. Apart from her interests in architecture, she is involved with the Aga Kahn Development Network. She loves to travel and enjoys cooking different cuisines. Nirui Kang comes to FGY from New York where she worked on residential architecture and exhibition projects. In 2017, Nirui graduated from University of Notre Dame with a master’s degree in architecture. Before her career in design, she worked in the field of mathematics and finance. Nirui was born and raised in China, and has spent time traveling in her home country, Asia, Europe, and the United States. She loves to observe different cultures and think about their influence on local design. In her spare time, she also enjoys reading, movies, music, and running. Jillian Kuehnis is a licensed architect in California. At FGY, she works as a project manager on a variety of custom residential design projects in Palo Alto and the surrounding areas. She also assists the office with ArchiCAD and graphic standards. She joined FGY after graduating with a Bachelor of Architecture from CalPoly, San Luis Obispo. While in school, Jillian studied in Italy for a year where she fell in love with historical architecture and the marriage of old and new design. Jillian has also taught design workshops for high school students interested in architecture. Outside of work at FGY, she spends her time hiking, reading, and baking. Valerie Liang is a licensed architect in California. Originally from Texas, she attended the University of Texas at Austin, where an interest in sustainable design and construction led her to a dual degree in Architecture and Architectural Engineering. Before joining FGY, she worked at offices in the Bay Area and Los Angeles focusing on custom residential, small commercial, and winery projects. Kathleen Lilly joined FGY in 2013 after relocating from New York City. She brings with her over six years of experience in retail, small commercial, interiors, and residential architecture. While working at Ralph Lauren in NYC she had occasion to manage projects all over the world, including Russia, Europe, and Latin America. While there, she increased her focus and expertise in millwork and detailing, an interest that was kindled in her furniture-making classes in graduate school. She received her Bachelor of Arts in Historic Preservation from Mary Washington College and her Master of Architecture from Clemson University. In her spare time, Kathleen enjoys spending time with her family and exploring the Bay area. Shuxin Lin joined FGY Architects after receiving her Master of Architecture from the University of Notre Dame. Although she completed an undergraduate degree in Chemistry at Nankai University in China, she developed a passion for design through experiences as a graphic designer and curating a fashion blog. During her graduate program, a four-month study trip to Rome strengthened her interest in traditional architecture and historic cities constructed at a human scale. In 2017, she conducted research on important Song dynasty buildings still in existence in China from the years 950-1020. Outside of work, Shuxin can be found at farmer’s markets, on the tennis court, or hiking trails. Kristen Lomax, AIA, joined the residential team at Fergus Garber Young in 2014. She is a licensed architect with over 10 years of experience designing new residences and vacation homes. Prior to FGY, she worked at two residential firms based in Los Altos and Palo Alto. Kristen received her master’s degree from Tulane University in New Orleans and received the Tulane 34 Award presented to the top 34 graduates for exemplary leadership, service, and academic excellence. She also studied abroad in New Zealand. Kristen has served as secretary for the American Institute of Architecture San Mateo Chapter and was chair of the scholarship committee. Kristen also served on the advisory group of the Custom Residential Architects Network, a national organization for architects in the custom residential practice. Outside of FGY, she can be found eating good food, taking hikes to work off that good food, and spending time with her husband and daughter. 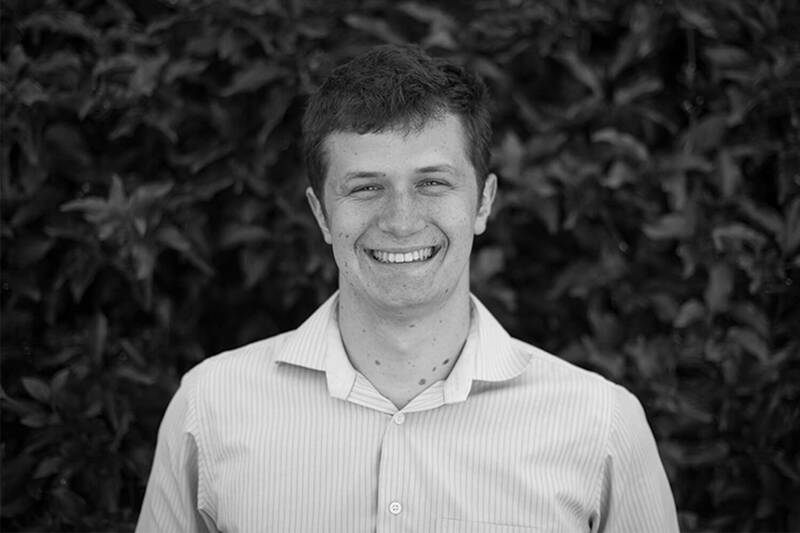 Luke Morton is FGY’s sustainability manager and graduated from Stanford University with a B.Sc. in Earth Systems and an M.S. in Civil and Environmental Engineering. During his studies, he worked for a number of building energy organizations. At the U.S. Green Building Council in Washington DC, he supported the creation of a carbon-based standard that will be incorporated into the LEED criteria. At the Rocky Mountain Institute in Boulder, CO, he worked on evaluating the effectiveness of Automated Demand Response Systems (“smart” thermostats). At Southface Energy Institute, in Atlanta, GA, Luke inspected over 500 new single-family houses as a HERS Rater for ENERGY STAR and EarthCraft House certifications. With Viron Energy Services in Oakland, CA, Luke led the energy audit of the entire Community College District of San Mateo, including College of San Mateo, Cañada College, and Skyline College. In his free time, Luke enjoys baking desserts in his solar oven for FGY’s Tuesday lunches, playing ukulele in a local bluegrass band and giving lectures on building science to hapless Stanford undergrads. He is now a father too! Mark Munoz joined FGY in 2013 and brings over 20 years of commercial, multi-family residential, and urban design experience. 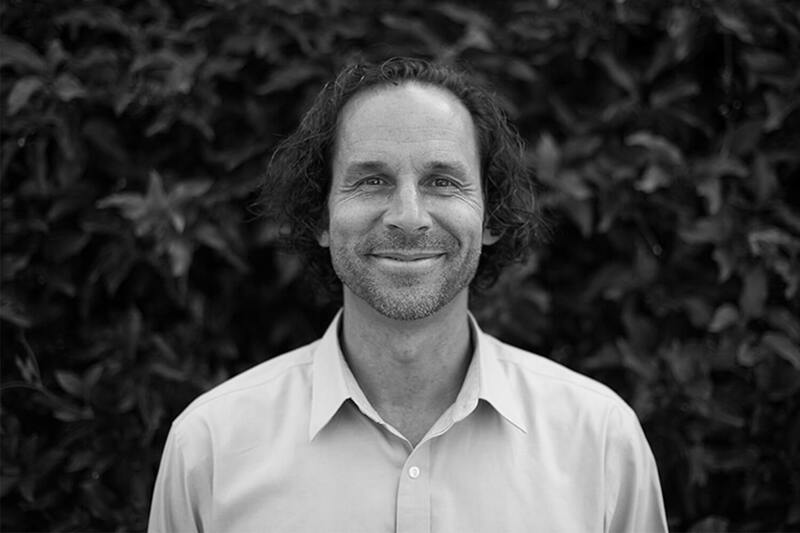 Prior to recently working for the regional firm of Hawley Peterson & Snyder focused on healthcare projects, he spent 10 years as the senior design architect for Ko Architects in Palo Alto, where his focus was on larger scale commercial projects, transit oriented mixed use developments and affordable housing. He also comes with as strong background in urban design having been a senior architect with San Jose Redevelopment Agency working on diverse projects in the downtown such as office buildings, hotels, housing and civic buildings. He also participated in the Urban Design Review Board and worked extensively with developers in helping with the rebirth of the downtown in the late 1990’s. A licensed architect and a graduate of California Polytechnic State University in San Luis Obispo, he is a native of the bay area and lives locally with his wife and 9 year old son. As an avid golfer, most weekends you’ll find him trying to find a block of time to get out to the course. However, that rarely happens with a 9 year old son keeping him busy. You’ll also find him watercolor painting, combing record stores for vintage jazz vinyl and working continuously on his own home projects. Gina Paietta Dixon joined FGY in 2016 after working at custom residential firms in Washington, D.C. and Santa Monica, CA. She is a licensed architect in both California and Washington, D. C. Gina graduated with honors from University of Notre Dame where she studied classical and traditional architecture and had the opportunity to study abroad in Rome, travel throughout Italy, and conduct research in Greece. While working on her thesis project for a new archaeological museum complex and town revitalization in Ancient Corinth, Greece, she became especially interested in historical and cultural influences on architectural style and how those are manifested in today’s new buildings. After growing up in Ohio, Gina is always trying to take advantage of the sunny California weather. On weekends you can find her hiking, running, playing tennis, or diving into a good book. 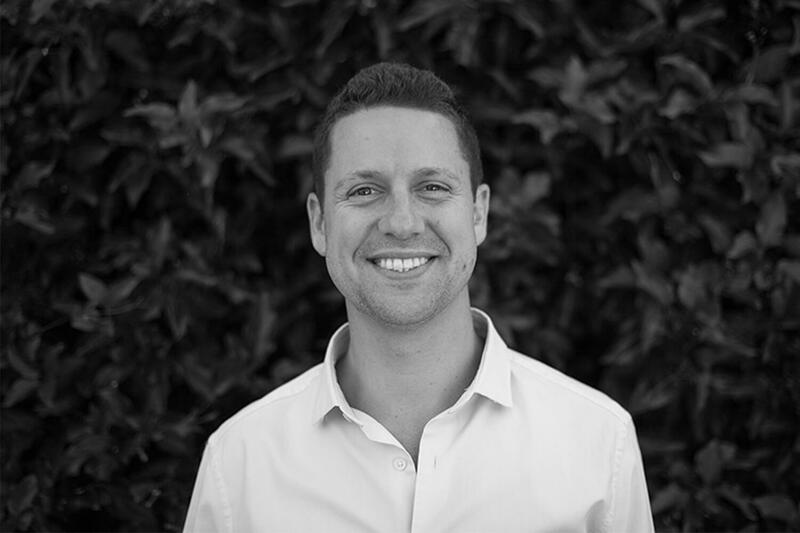 Aaron Pavitt joined FGY after he learned that his wife was going to start her medical residency at Stanford University. They moved here from Chicago where he had been working with VOA + Associates. Aaron received his Undergraduate degree in Environmental Design and Architecture from the University of Colorado and his masters at the Illinois Institute of Technology. While at the IIT he spent time studying in Beijing, China and worked closely with city officials in Chicago to develop new concepts for a future urban living model. This work received three awards including a selection as one of Chicago’s Top 5 architectural students. Aaron looks forward to pursuing his licensure in Architecture and LEED accreditation in the near future. In his free time he also enjoys playing ultimate frisbee, traveling both near and far and spending time with his friends and family. Allison Pell is a licensed architect and joined the residential team at FGY in 2012. After becoming interested in architecture at age 10 and drawings floor plans of her dream house, she went on to graduate with honors from Cal Poly San Luis Obispo. While at Cal Poly, she had the opportunity to study abroad in Denmark and develop a love for Scandinavian architecture and biking. Outside of FGY, Allison enjoys hiking, traveling, and spending time with her family and friends. 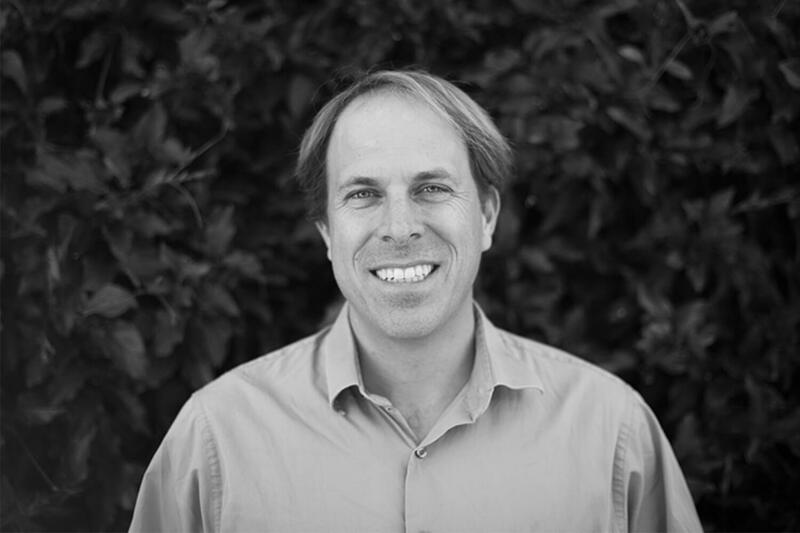 Clinton Prior, AIA, LEED AP, is a principal at FGY Architects. He is a licensed architect with over 20 years of design and construction experience. Clinton joined the firm in 2011 after working for several years in Chicago. At FGY, Clinton manages projects and serves as lead designer. His design process centers around building strong relationships with clients, including open communication, client education, and a deep understanding of clients’ unique needs and desires. Clinton holds a master’s degree in architecture from Yale University and a bachelor’s degree in architecture from Queensland University of Technology in Brisbane, Australia. While at Yale, Clinton worked with the school’s Building Project developing low income housing and spent time teaching in the undergraduate school. Upon graduation, he was awarded Yale’s Drawing Prize in freehand sketching. Prior to his architectural career, Clinton traveled around the world for six years and developed his love of craftsmanship while building boats in Vancouver, Canada and working as a mason in England and Italy. Australian in origin, Clinton enjoys all things ocean, whether sailing competitively on San Francisco bay, competing in the Alcatraz Swim, surfing, or the company his wife, daughter, and dog at the beach. Orchid Rahebi joined FGY after graduating from the University of Illinois at Urbana Champaign. She received a Master of Architecture, as well as a Master of Science in Civil Engineering, with a specialization in Construction Management. Orchid also holds a Bachelor of Architecture and began her career at the international firm, Bavand Consultants: Architects, Planners & Urban Designers. In her free time, she enjoys reading, traveling, and exploring new places. Kurt Rodrigo joined FGY in 2018 after a seven month sabbatical. During his time off, he got married on the beach in Mexico and took a six week European honeymoon with his new wife. Kurt brings to FGY several years of experience in New York City working on commercial and custom residential projects. Originally raised in Southern California, Kurt graduated with honors from California Polytechnic State University, Pomona, where he received his Bachelor of Architecture, before moving to Manhattan and pursuing a master’s degree in Advanced Architectural Design from Columbia University. Kurt is a licensed architect in the state of New York and is currently pursuing licensure in California. One day, he hopes to design and build his own house. Outside of the office, Kurt enjoys watching and playing sports, traveling, reading, watching reruns of the sitcom “The Office,” and spending time with his wife, friends, family and chi-weenie, Brooklyn. Camille Shamble joined FGY Architects in 2018 as a marketing specialist. Prior to joining the FGY team, she completed a PhD in the History of Art and Architecture from the University of Virginia. During her program, she taught architectural history and design courses at UVA and held research fellowships at Dumbarton Oaks Library in Washington D.C. and the Huntington Library and Gardens in Pasadena. Camille is a licensed architect in the state of Oregon and holds a Master of Architecture from the University of Oregon in Eugene. Outside of work, she can be found chasing her two small daughters at the park. Tim Shockey is a senior project architect who knocked on our door in 2011 to defrost back in the Bay Area after having spent almost 8 years in his wife’s hometown of Stockholm, Sweden. He holds a 5-year Bachelor’s of Architecture and Master’s degree from Montana State University in Bozeman. 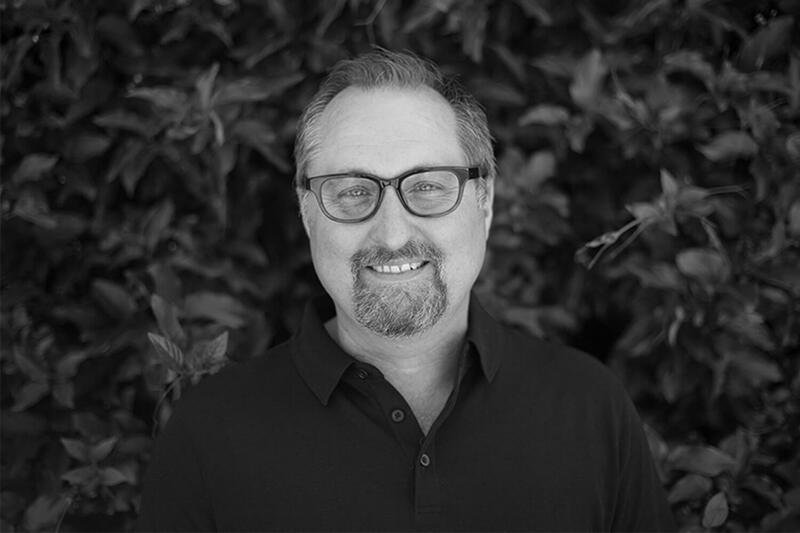 Raised in Menlo Park, Tim is a licensed architect and brings 20 years of high-end residential, multi-family residential and commercial knowledge to FGY. Tim has practiced in Austria, Sweden and the US. Most recently, he worked for RITS Arkitekter AB in Stockholm and before that, Hermannsson Architects in Redwood City, CA. In his free time he enjoys life with his two kids and wife in up in the hills of Redwood City. Amanda Stahler has had a long standing interest in architectural design. She graduated in 2018 from California Polytechnic State University in San Luis Obispo with a Bachelor of Architecture and minors in Sustainable Environments and Italian Studies. For her senior thesis project, Amanda designed a Women’s Opportunity Center in Rwanda through Journeyman International, an organization that pairs students with humanitarian projects around the world. She completed a set of design and construction documents, and the project is in the process of acquiring funding. This thesis project received awards from the AIA Central Coast and from Cal Poly Architecture Faculty. In addition, Amanda received an AIA San Mateo Country Scholarship Award for two years in a row, and she was identified as one of the “30 under 30 Most Influential Women at Cal Poly” from Cal Poly’s Women in Business. During her college years, she helped build homes in Honduras through Architecture Global Brigades and volunteered with AIA Silicon Valley’s Women in Architecture. She spent her fourth year abroad studying Italian language, culture, and architecture in Florence, Italy and learning about her personal Italian heritage. After interning at FGY for the past two summers, she joined the firm full-time upon graduation. She is currently pursuing her architectural license and in her free time enjoys doing yoga, traveling, and welding. Eli Wilson joined FGY in 2018 after graduating from Rice University with a Bachelor of Architecture. While at Rice, he also had the opportunity to study in Paris, design a communal creative space for his college dorm, and work on skyscrapers and master plans for a year at Pelli Clarke Pelli Architects in New Haven, Connecticut. Eli is an avid sports fan, hiker, and cyclist. He can be found on weekends watching baseball, basketball, and soccer, backpacking in California, or spending time with his friends and family. Heather Young is a partner of Fergus Garber Young Architects. Prior to becoming a partner, she had collaborated with Fergus Garber Group continually since 2004 (Fergus Garber Group became Fergus Garber Young Architects in January of 2011). Heather heads up FGY’s commercial studio and is a green champion and a former Steering Committee member of the Northern California Chapter of the US Green Building Council. In addition to her commercial focus, she also leads some of the firm’s residential projects that have larger sustainability goals including the LEED Platinum Bryant Street Residence. Heather started out her professional career with Cesar Pelli & Associates (now Pelli Clarke Pelli) in New Haven, Connecticut where she was an Associate working on the Petronas Twin Towers in Kuala Lumpur and the Gonda Building at the Mayo Clinic. She received her Bachelor of Architecture from Rice University and her Master of Architecture from Yale University. Heather is a past chair and board member of the Palo Alto Architectural Review Board and past President of the American Institute of Architects (AIA) San Mateo County Chapter. She also represents the AIA as co-chair of the AIA COD 25 Year Award Nominating Committee, chair of the AIA COD 2019 Spring Design Conference, and The NAAB (National Architects Accreditation Board) Visiting Team member and chair. When not at her desk looking for green solutions or in the field working with contractors, Heather can be found hiking, doing yoga, biking in the local neighborhoods (usually in search of a donut shop), or watching a classic film (tip: if opposing Heather in Trivial Pursuit, choose a different category). Nick Zukauskas joined FGY after relocating to the Bay Area from his home state of Wisconsin. He received a BFA in photography and sculpture from the University of Wisconsin in 2011, and graduated with his Masters of Architecture from the University of Wisconsin-Milwaukee in 2015. Nick spent two years working for several small architecture firms in the Midwest on a variety of projects and installations and recently completed a year of adjunct teaching for a 1st year design studio at UW-M. Outside the office, Nick can be found riding his bike, waking up too early on the weekends to watch English Premier League soccer, skiing, or doing documentary photography.